You might have guessed I love jeans, always have done. I think New Look might have got wind of this because they asked me to take part in their Denim Challenge. They sent me 4 pairs of jeans in different styles so I could create some denim looks for their social media channels. I went for a bit of a preppy look with these amazing jersey denim jeans, yes jersey denim, they are a total revelation, they feel like a denim and are weighty like a denim but they move like jersey and are so comfortable. They're different to jeggings, they have more movement but are fully structured like jeans. Honestly, I love them, despite the furore on the New Look Facebook page over my alleged saggy crotch!! Ha ha!! 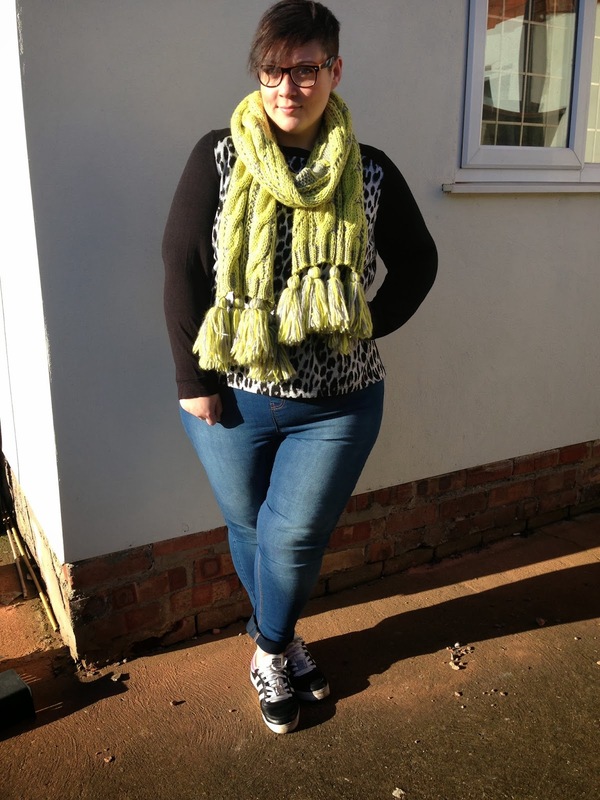 Here I went for super casual, teaming the jeans with a simple monochrome leopard print sweatshirt and my beloved Missy Elliot trainers and super bright ASOS scarf. The jeggings are denim based, not a full on jersey legging with a denim look. Very comfy and I liked that they were lighter in colour! 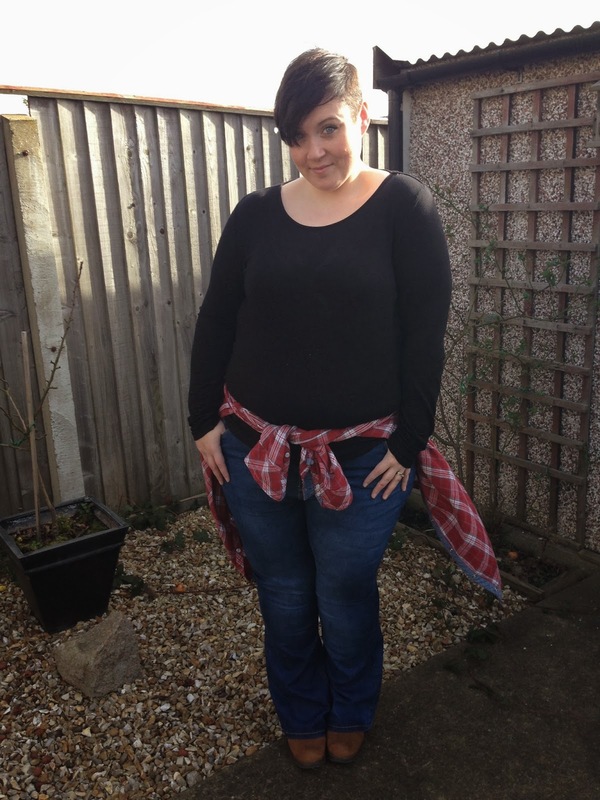 My final look (for this post anyway, I still have one more pair of jeans to take pics of) is, shock horror, a pair of bootcut jeans, and what's even more shocking is that I quite liked them. I haven't worn bootcuts for about 8 years but I kind of did a 90s look with the checked shirt and brown boots, which took me back to my Take That days. All I need was a kangol hat, but I think that might have been a step too far!! It's the big house move tomorrow so if I go AWOL you know why, but I'm hoping to have broadband on Thursday if all goes to plan!! Wish me luck guys!!!! Good luck with the big house move!!!! 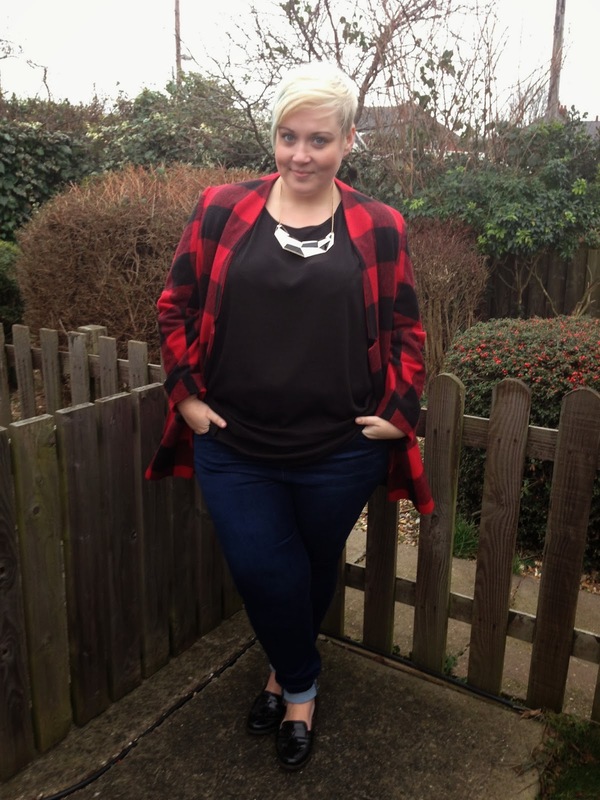 Love the bootcut jeans, I can´t help feeling a 90's girl...!!!!! Hello my love! :) love your jean collection!